As with all TV talent shows, we love it when the contestant turns it back on the judges. Whether it’s bad singers refusing to accept some harsh truths, or a comedian deciding it’s time for some payback, it’s always a welcome sight to see the cameras turned the other way. This time, it was the latter. As Britain’s Got Talent gets ever closer to this weekend’s final, the pressure is on for not only the acts to out do one another, but for the judges to to decide their fate. Thankfully, comedian Robert White was on hand to provide some much-needed levity in the nail-biting drama of the latest series, and the brunt of his jokes was directed at the quartet of judges sitting in front of him. Well, actually, it was really just one judge. As the Mirror reports, the 41-year-old comedian, from West Sussex, set his sights squarely on Amanda Holden, saying she was ‘obsessed at trying to look younger’. Amanda, ever the professional under the cameras, knew how to react though and took it all in her stride, feigning shock and surprise as the other judges failed to suppress their laughter. As the comedian’s song got going, however, the Amanda-aimed jokes didn’t stop there. That chair it’s reflecting your younger years – it’s behind you. 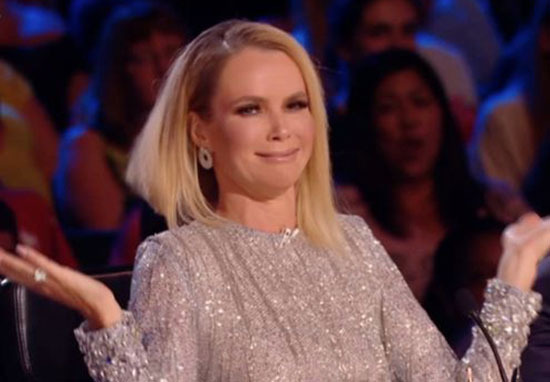 Amanda Holden is obsessed with trying to look young… like she used to. You probably guess what Simon Cowell’s reaction would’ve been had the jokes been directed at him, but Amanda managed to see the funny side. You are very funny, very witty, very intelligent, and you are spot on with all of us. Well done darling. Simon was a fan too, which is good as the final is just round the corner after all. I said to Amanda when you came on I love musical comedy. I have to tell you, you were bloody hilarious. Wonder who he’s talking about. As ever, viewers took to Twitter to do share their thoughts. For once a comedian tells the truth about Amanda Holden’s obsession with youth. It seems like the comedian definitely touched a nerve with a lot of viewers, which was a welcome change of pace to the talent show. 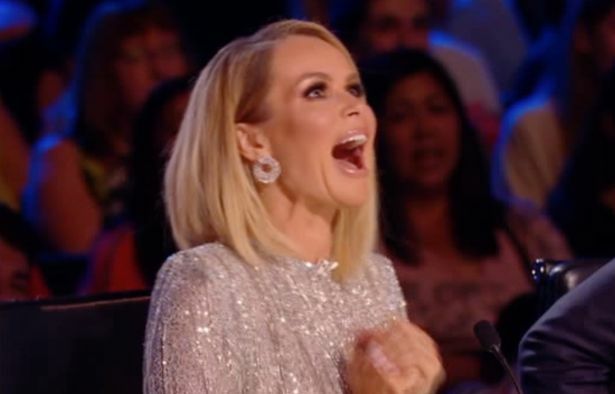 With the final just around the corner, I’m sure Amanda holden isn’t the only one hoping that lightning doesn’t strike twice.